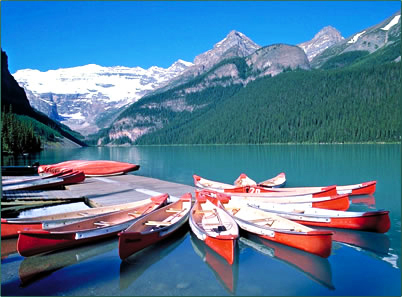 Canoes on Lake Louise, wating for you! When you’re a wedding guest, as opposed to the bride and groom or immediate family, weddings sometimes aren’t that much fun – especially when you have to travel somewhere to attend. That’s another great thing about a wedding in Lake Louise: there is no end of things to do for your guests. Ciara Daykin, wedding planner and owner of Firefly Occasions, suggests the bride and groom plan group activities for guests. 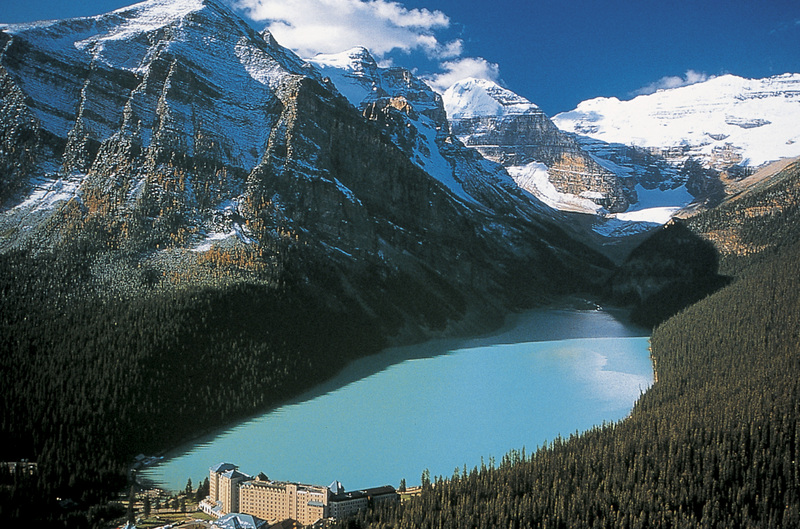 “Your guests will all feel like they are friends by the time the wedding actually happens.” She notes that guests will want to get out and experience Lake Louise anyway, and by planning group activities, the bride and groom can create a bonding experience for their guests without incurring extra cost. “You don’t have to pay for everything, you just have to have it organized,” she says. Below, you’ll find a list of information to help you and your guests plan their stay in Lake Louise, Banff National Park, and the Canadian Rockies. 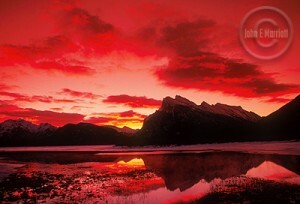 Everyone in your wedding party should be able to find the right accommodations in and around Lake Louise. If people want to experience the unspoiled wilderness that surrounds Lake Louise and experience alpine living, there is Skoki Lodge, for example. A quiet, cozy mountain cabin? Paradise Lodge and Bungalows is as good bet. Need to impress your spouse’s parents? Put ’em up in Fairmont Chateau Lake Louise, a fabulous resort hotel right on the shores of Lake Louise. If your guests complain that they’re bored on their trip here, please check their pulse. There is no shortage of hikes, drives, sights, tours and other activities in and around Lake Louise to keep them busy, entertained, and out of your hair during their stay in the Canadian Rockies. Skiing, hiking, whitewater rafting, canoing and kayaking, sightseeing — there’s no end to the recreation opportunities here. But What About the Less Adventurous? But what will guests do if they aren’t into hiking, mountain biking and playing hard outdoors? Not to worry, there is plenty of things to do here, even if you don’t ski or hike. There are horse-drawn sleigh rides in winter, plenty of tours to take in winter or summer by car or bus that will still let your guess take in the natural beauty of Lake Louise and Banff National Park. This is also a great place for train and history buffs — the mountains are also a great place to go fossil hunting!